A huge value to a business, online company stores provide a retail outlet for staff and customers to purchase unique and top-trending items bearing your company logo, creating a sense of pride and loyalty. This not only helps your business generate revenue, but increases your brand awareness through controlled spending on promotional products and brand integrity through centralized purchasing. We also offer 24/7 online order tracking, same-day shipping and customized reporting. Let us help you select items and develop your company store that will effectively convey your corporate image. Reap the benefits of an easy-to-use, always accessible online storefront that’s completely customized to meet your needs. Not sure where to begin? No problem! AMP&M’s expert staff is here to help you figure out just what to do first. We can handle any need, from non-profit & charitable contribution sites to large Fortune 500 stores. Not only can we create a store for your office, but AMP&M can also accommodate multiple locations. 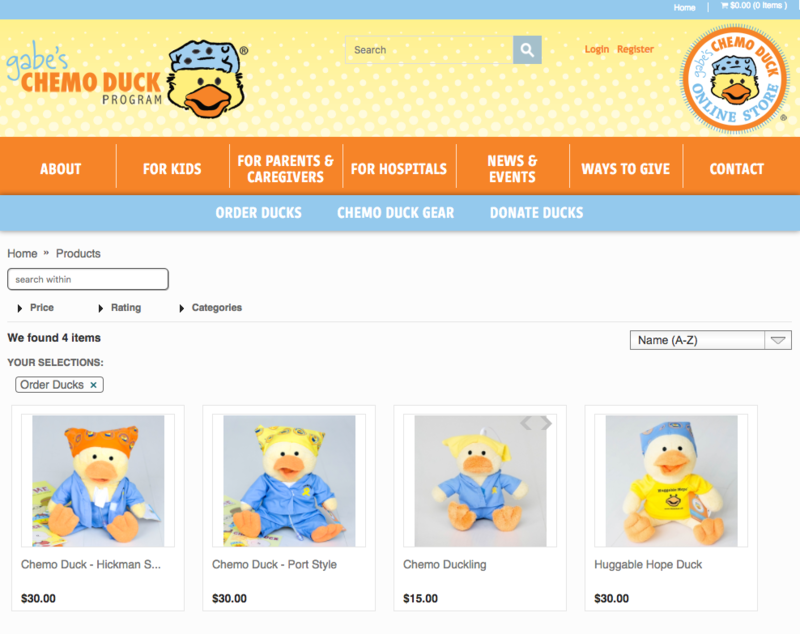 Take a look at some of the exciting work we’ve been doing with ChemoDuck, a wonderful charitable giving site. We’re proud to be a part of this campaign, and would love your company store to be featured here next!